FRANKFURT, February 4, 2010 – LyondelllBasell Industries will feature several new advanced polypropylene (PP) compounds at the Plastics in Automotive Engineering technical conference, which will be held on March 17 and 18 in Mannheim, Germany. The conference is organized by the Association of German Engineers (VDI). The exhibit will focus on the company’s new Softell PP compounds. 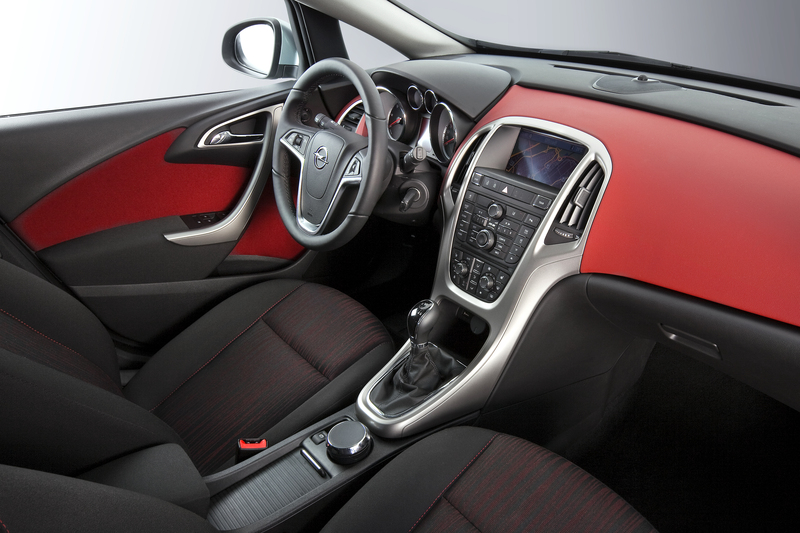 The innovative resins have been selected by Opel to manufacture a variety of interior applications such as the instrument panel, the B and C pillars and the door panel of its recently launched new Opel Astra model. The new resins enable the production of interiors with exceptional surface aesthetics and soft-touch qualities without the use of coatings. Compared to standard interior resins such as painted ABS (acrylonitrile butadiene styrene), Softell compounds offer processing advantages that have the potential to result in cost savings. Other product features will include Hostacom short-glass-fiber (SGF) reinforced PP materials used in automotive structural components. Due to the extreme impact and stiffness requirements of these applications, the components historically have been the domain of long-glass-fiber (LGF) PP or other engineering plastics. Volkswagen has been using the company’s Hostacom G3 R05 SGF PP to produce the front end of its Tiguan compact SUV, and has recently selected from the same product family a Hostacom G2 R03 SGF PP grade for the instrument panel carrier of its new Polo model. “Uniform glass-fiber length and distribution within the matrix is critical to maintaining the impact strength of a reinforced part,” explained Pohl. ”In these applications, our Hostacom grade produces very uniform distribution of the short-glass fiber, which offers an advantage over LGF materials that can often present distribution challenges.” By optimizing the polymer matrix and using an advanced additive package, LyondellBasell experts have produced a grade that combines improved impact resistance with unprecedented stiffness compared to incumbent materials. Other product benefits include simplified, cost-effective processing. A new family of Hostacom low-emission PP compounds used in automotive applications will be introduced at the conference. By using new high-purity base resins in the compounds, LyondellBasell has developed materials with reduced Volatile Organic Compound (VOC), odor and fog emissions compared to incumbent PP compounds on the market. According to a test method used by the German Association of Automotive Manufacturers (VDA), VDA 278, LyondellBasell’s Hostacom TRC 333N had VOC emissions that were less than one-third of those emitted by competitive PP materials. The new compounds also had reduced odor emissions compared to current materials, according to the VDA 270 standard for automotive interiors. Tests also showed significantly lower fogging characteristics, as well as improved scratch resistance. The grade is now being used to produce several interior components of the new BMW X1 compact SUV. Hifax molded-in-color (MIC) resins that are used in bumper trim components such as the lateral bars and upper and lower grills of BMW’s X1 SUV will be featured at the conference. Produced using Hifax TRC 134P AluMatt (matte aluminum finish) resins, the parts contain an aluminium flake pigmentation that provides a unique metallic appearance. Historically produced using painted ABS the parts do not require additional painting. “By eliminating the painting step, which in the past has been necessary to produce alu optics, or parts with an aluminum appearance, the grade has the potential to offer manufacturers significant cost savings and reduced CO2 emissions,” said Jörg Schweitzer, LyondellBasell’s customer program manager for BMW. Characterized by an outstanding balance of impact resistance and stiffness, the grade has also met OEM requirements for low coefficient of linear thermal expansion (CLTE) values. CLTE is a measure of how much a finished part will shrink or grow in response to changing temperatures. The grade’s resistance to dimensional change under varying temperatures offers customers new performance options for applications that demand tight tolerances. PP compounds such as Hifax TRC 134P offer up to a 30 percent reduction in part density compared to other engineering thermoplastics, which results in lighter parts and may reduce total vehicle weight. The material also displays excellent durability against abrasion and scratches. Photo caption: – LyondellBasell’s exhibit will focus on its new Softell PP compounds. The innovative resins have been selected by Opel to manufacture a variety of interior applications such as the instrument panel, the B and C pillar, and the door panel of its recently launched Astra model. This new resins enable the production of interiors that provide excellent surface characteristics and soft-touch qualities without the coating step typically required with other materials such as ABS (acrylonitrile butadiene styrene).